Summary: The drug rivaroxaban was shown to be as good as warfarin for stroke prevention in a large study that was recently published in the New England Journal of Medicine. A New England Journal of Medicine article, Rivaroxaban versus Warfarin in Nonvalvular Atrial Fibrillation, reported on ROCKET-AF (Rivaroxaban Once Daily Oral Direct Factor Xa Inhibition Compared with Vitamin K Antagonism for Prevention of Stroke and Embolism Trial in Atrial Fibrillation), an international multi-center trial that compared the effectiveness of rivaroxaban and warfarin. Warfarin (Coumadin) has been the gold standard of stroke prevention in patients with afib. But to be effective, warfarin requires careful monitoring. Patients must take doses as prescribed, must have blood draws or tests at regular intervals to assess their international normalized ratio (INR), and must revise their doses under the supervision of a physician in response to their INR levels. Maintaining patients’ INR levels in the right range has proven difficult; currently, only about 60 percent of patients on warfarin have INR levels within range. A number of common foods and drugs can have a huge impact on INR — and due to genetic reasons, some people cannot maintain an INR in the proper range, no matter how carefully they eat. An INR out of the correct range, though, means that patients may be more prone to clotting, a serious complication of afib. That’s why researchers have been working to develop warfarin alternatives. Rivaroxaban is among the new drugs providing a promising simple-to-manage alternative to warfarin. It is a "direct factor Xa (pronounced 10a) inhibitor", which means that it works differently from warfarin. Last year, the FDA approved dabigatran (Pradaxa), a "direct thrombin inhibitor"—also a different mechanism from warfarin—for stroke prevention in people with atrial fibrillation. So afib patients may soon have multiple alternatives to warfarin. The ROCKET-AF study that analyzed rivaroxaban was unique in that most of the 14,264 study participants, all of whom had nonvalvular afib, were at very high risk for a stroke and many had already had strokes. The study required that at least 90% of participants had had a stroke (or transient ischemic attack) or had three or more stroke risk factors on the CHADS2 scoring system. Thus most of the study population had hypertension (90%), congestive heart failure (62%), or stroke or transient ischemic attack (55%), and a large percentage had diabetes (40%). The average CHADS2 score was a 3.5 (scale of 0-6), which is extremely high for a study as most opt for lower risk patients. Because of the need for multiple risk factors, this study population tended to be older than many studies—the midpoint age of both groups was 73 years old, and one-fourth were 78 or older. The study population was also predominantly male (60.3% vs. 39.7%), though this was a higher percentage of females than in many afib studies. The participants, who were at 1,178 sites in 45 countries, were randomly assigned to receive either rivaroxaban or warfarin. Patients were treated for an average of 590 days (more than a year and a half), with an average follow-up period of 707 days (almost two years). Another unique aspect of the trial was that patients took a placebo tablet so that they did not know which drug they were on. The study was analyzed in three ways, which contributed to some of the confusion we've seen in the reporting of results. "Per-protocol analysis” — analyzed patients who followed the protocol for their assigned treatment. Of those, a stroke or a blood clot traveling through the body occurred in 188 patients on rivaroxaban (1.7% per year) and 241 patients on warfarin (2.2% per year). "As-treated (safety) population" — since almost one-fourth of patients stopped their treatment early, this analysis included all patients who started treatment, regardless of whether they followed the protocol, and followed them while receiving study drugs. Of these, 189 patients (1.7% per year) on rivaroxaban had a stroke or serious blood clot, vs. 243 patients (2.2%) on warfarin. "Intention-to-treat" — analysis looked at all patients enrolled in the study. Of the over 14,000 patients, 269 patients (2.1% per year) on rivaroxaban experienced stroke or serious blood clotting vs. 306 patients (2.4% per year) on warfarin. The investigators concluded that rivaroxaban was as good as warfarin. Importantly, the INR of those on warfarin was only in the target range (2.0-3.0) 55% of the time. Side effects were comparable. Bleeding (excluding minor bleeds) occurred in 1,475 patients on rivaroxaban and in 1,449 patients on warfarin (14.9% vs. 14.5% per year), which is very similar to other recent studies. Interestingly, rates of bleeding within the brain (intracranial hemorrhage) were significantly lower for those on rivaroxaban (0.5% vs. 0.7%), while bleeding in the digestive tract (gastrointestinal bleeding) was more common among those receiving rivaroxaban (3.2% vs. 2.2%). There was also a lower rate of heart attacks among those on rivaroxaban. Since the ROCKET-AF trial included data from 45 countries, future analysis of the data may reveal variations in effectiveness and safety for different populations around the globe. In an accompanying editorial in the New England Journal of Medicine, New Options for Anticoagulation in Atrial Fibrillation, Gregory del Zoppo, MD, and Misah Eliasziw, PhD, said, “For the management of atrial fibrillation, oral alternatives to warfarin have arrived. Their simplicity of use is attractive, and they appear to have an efficacy similar to that of warfarin, with the proviso that comparisons seem to depend on how easily the patient can be treated with warfarin." On September 8, a US Food and Drug Administration (FDA) Advisory Committee will consider whether to recommend that the FDA approve rivaroxaban for stroke prevention in afib patients. If approved, the decisions of doctors and patients will get even more complex. Patients now have more options, with more to come, but it’s up to you to work with your doctor to find the treatment that works best for you. The ease of treatment with warfarin indeed appears to be the key in whether to try the newer drugs. Those who do well on warfarin may choose to stay on it as it is much less expensive than the newer drugs. But those who have difficulty with warfarin are very likely to consider the newer drugs. There are many considerations to make in the decision, including the differences between the two newest alternatives, thus making the decision more difficult. Are you the kind of person who reliably takes your medication on schedule? This is extremely important with the new alternatives because they do not stay in the bloodstream as long as warfarin does. Since rivaroxaban is taken once a day and dabigatran is taken twice a day, this could factor into the decision for some patients. Are you able to get your blood tested regularly through a lab, anticoagulation clinic, or home testing and, if needed, follow up with your healthcare provider to adjust dosages? This is critical in managing warfarin, but is not necessary with the new alternatives. Are you able to maintain a stable INR? This is critical for stroke prevention with warfarin. Do you have a previous history of digestive tract bleeding? Some of the new drugs may increase digestive bleeds compared with warfarin. Are you comfortable taking a relatively new medication, or do you prefer to take a medication that’s been used for decades? Are you comfortable that the new drugs do not currently have an antidote to stop bleeding? These new drugs last less time in the body than warfarin, and those taken twice a day could potentially last less time than those taken once a day, but this is speculation and not yet proven. There also appears to be less risk of bleeding in the brain (intracranial hemorrhage) with some. Antidotes will inevitably be developed, but for now, transfusion is an option. While we hear occasional reports of deaths from bleeds with the new drugs, we never hear about the similar number of deaths from bleeds with warfarin because it has been happening for so long that it is routine. Will your insurance cover the more expensive new drugs, or are you able to afford them? The decision as to which anticoagulant drug is best for you is not always easy, so ask your doctor why he or she recommends a specific drug for you. Given the fact that none of the newer drugs have gone head-to-head, it’s difficult to compare their effectiveness and side effects. Jennifer L.W. 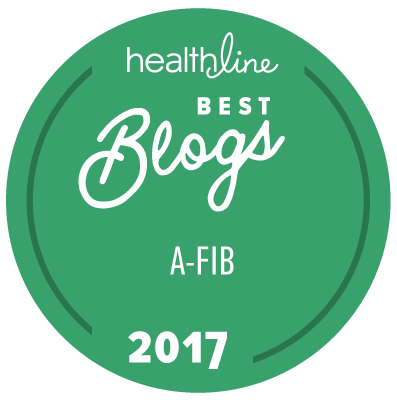 Fink is a freelance writer and Registered Nurse who writes frequently about health and wellness.